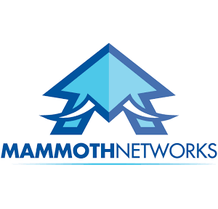 Mammoth Networks was created in November, 2004 to provide regional Service Providers with a footprint outside of their traditional coverage areas. The company quickly grew into a wholesale data aggregator, combining services such as DSL, Frame Relay, ATM, TDM and Ethernet onto a single platform for Service Providers. By September of 2009, Mammoth had become the first company to tie together all 27 Qwest LATAs by building out interfaces for DSL, Frame relay and ATM. The company then set its sights on building out a national private-line network. Today, Mammoth offers a full suite of aggregation and WAN connectivity services to the lower 48 contiguous states and Canada. Mammoth is circuit and carrier-agnostic, sourcing capacity from select carriers and driving those circuits through our own POPs and equipment so we can conduct line testing and confirm circuit health. We work only with carriers that are conscious of our focus and products, and are responsive and approachable. The end result is a product line that is a perfect match for Service Providers (ILECs, CLECs, DLECs, ISPs, Wireless ISPs, VoIP Providers, etc.) and multi-site enterprise businesses that are looking to expand beyond their current geographical scope, or drive greater physical and cost efficiencies into their current network architecture.